A view of the interior of the Spanish House at Mission San Luis de Apalachee. 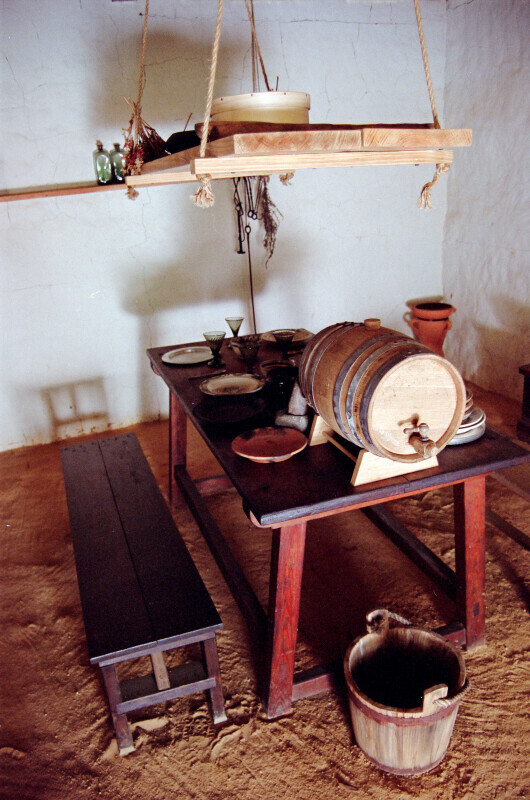 Pictured is a table with bowls, plates, cups, and small serving keg. A wooden rack is suspended from the ceiling at four points by ropes.